Why the elevator floor display panel is not displayed? –How should it be fixed? The advanced photoelectric sensing technology is used to sample the running state of the elevator, and the running state of the elevator is superimposed with the information of “elevator name”, “elevator running state” and “floor signal” in the form of Chinese, English letters and Numbers to dynamically record the running state of the elevator. Because video IC and Chinese character chip are adopted with high performance and advanced production technology of patch, it has the advantages of small size, light weight, high stability of acquisition signal and the superposition naming of each elevator in Chinese or digital. Maximum number of display floors: 250 floors. Users can set such as: b50-200, b10-240, 1-250, etc. The name of each floor can be set: B1, 1, 1c, 2, 4, etc. Dual photoelectric sensor: single/double photoelectric sensor can be selected, which can be used in double magnetic isolation board elevator. Operation status indicator: elevator name, ascending/descending/stopping/ floor number. Unique fault detection and display function: it can automatically detect elevator faults in normal operation and send fault messages. 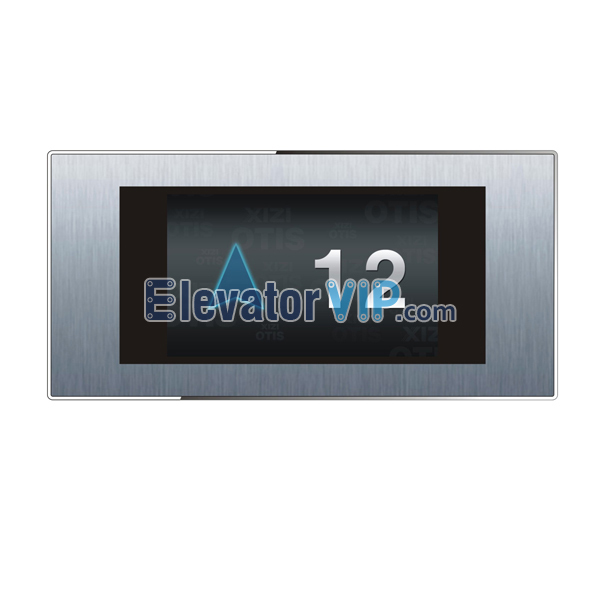 The flashing characters are superimposed on the monitoring image to determine the parking position of the failed elevator according to the display information buy. Remind supervisory personnel and facilitate maintenance personnel. Real-time clock system (RTC) : provide reliable system time, including the accurate display of time minute and date indicates the current time when the elevator is running. The advanced photoelectric sensor is adopted to sample the running state of the elevator, so the sampling is stable, accurate and dry resistant. Strong disturbance, high reliability, can be used in strong sunlight. 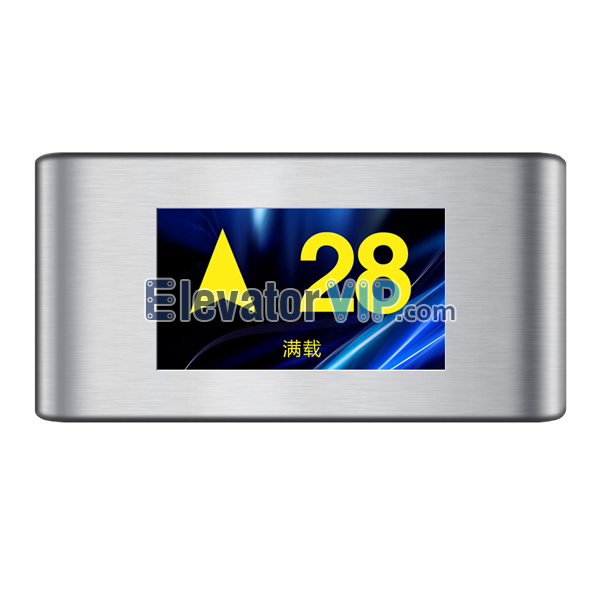 The superposition display of image and Chinese characters is stable, which can accurately display the data of elevator operation and can be set to display position. Convenient installation. Only the photoelectric sensor of the equipment should be installed in the flat floor block on the top of the elevator car on both sides, the host machine can be placed on the top of the car without any debugging. Original USB connection computer set parameters. Just go through the USB cable. Connect the equipment, and you can complete the parameter setting in the office. No on-site debugging, no maintenance armor. 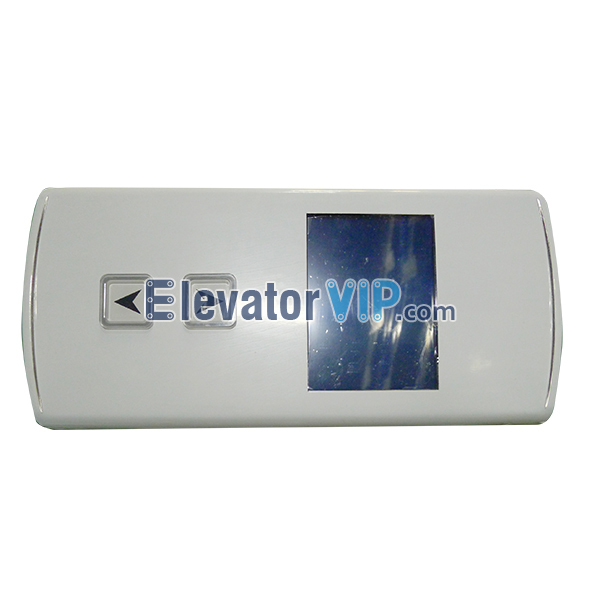 Not affected by the power failure of the elevator, the operating parameters can be saved after power failure, and the display parameters can be automatically corrected. What is the reason why the elevator floor display panel is not displayed? How should it be fixed? The possible reason is that either the line is broken or the board is broken. If the line is broken, find the fault point and repair, if the board is broken, repair or replace the display board. If it is the display board in the car, it may also be that the roof is out of order or the line is out of order. If it’s a low-floor elevator, or an old-fashioned parallel system, there’s no roof, and the main thing is to check the lines. Posted in Technology and tagged cheap elevator display for sale, elevator display manufacturer, elevator display PCB broken, elevator display supplier, elevator display wholesaler, elevator fault detection display, elevator photoelectric sensor, elevator RTC system, elevator running status indication, floor display of elevator equipment, high quality elevator display from Elevator Vip, how many brands of elevators display are applied, how to debug elevator display, how to fixed the broken elevator display, how to install elevator display, main functions of elevator display, why the elevator floor display panel is not displayed.